Doug Kelsey explains why he wants to close MAX stations—but won't eliminate fares. 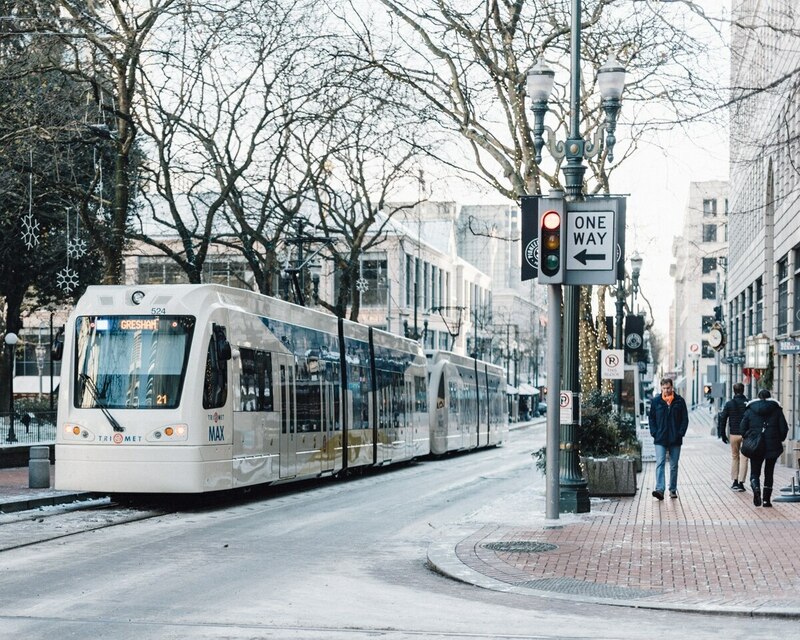 Why won't Portlanders take the bus? That's the dilemma facing Doug Kelsey, general manager of regional transit agency TriMet. Ridership numbers on public transit have stagnated over the past decade even as Portland's population explodes. That's a common problem across major U.S. cities—but also a black eye for a city that wants to combat climate change. Last March, Kelsey took the helm of a perennially cash-strapped agency that is trying to expand service, help create a lower-carbon future and prepare for a new light-rail line to Tigard. All the while, advocates are demanding that TriMet eliminate paid fares. Kelsey, a former executive at Shell, Starbucks and the transit agency of Vancouver, B.C., hasn't shied from these battles since arriving as TriMet's chief operating officer in 2015. He's championed the closing of downtown MAX stations to speed up commutes, stressed the need for buses to arrive on time, and added 24-hour service to Portland International Airport. Last week, WW asked him what's next. WW: What's your top priority? Is it ridership? Doug Kelsey: No. To pick two: Safety is important, customer satisfaction is important. I think on-time performance is really important for those who write the check. That's a change I've been trying to make since I got here. Because we were not where we needed to be. We publish the schedule. The customers need to rely on us. If not, they have to subsidize us by putting extra time into their calendar. We've really been working on that. What's your current on-time percentage? For probably the first time in our history, the last 30-day rolling average for both bus and train or both was 90 percent. When I took over, the whole MAX system for the month was 75 percent, and the bus was at 81. We've been rewiring our processes and our culture to get to this. Is gentrification causing a decline in ridership? I haven't seen the evidence personally that supports that. I believe this is very similar to what I've seen in other cities in the world. I also personally feel it takes far too long to get through downtown here. We need to speed the systems up so it takes less time to get to where you want to go on your terms. We need to keep MAX moving, and move it faster. Compared to other cities, our dwell times are too long. We stop too long at stations. We need to remove the barriers in traffic. Our buses are only as good as we allow them to get through. The Multnomah Athletic Club and bandleader Thomas Lauderdale look at your idea of removing MAX stations downtown and say it's going to cause more safety hazards. How do you respond? I would sure be interested to see the evidence of that. Walking is not a bad thing. It's actually healthy. And so if you look at other systems, you walk for many, many, many blocks to get to a train station. This one is literally four train-car lengths, not even. You can literally see the trains at the next light. You're literally joined together. It's not even the length of a natural normal platform for any train system. I was at the last board meeting where people were saying, "Oh, Nike's after this, and Intel." No. I'm the one who raised this stuff. I have feedback I've got: "Why does it take TriMet so long to get me from Gresham to where I work out in Hillsboro?" Because they're spending a lot of time off their life. Give us an example of a transit agency that's working. I liked Vienna. Our modal share, we call it market share, is about 4.2 percent here for transit—which means how many people in the region and how many people are using transit. In Vienna, 39 percent. I came from Vancouver, BC. We were about 14 percent. Why is Vienna so much more successful? The Viennas of the world, they do heavy taxation on the cost of driving a car. It's having those policies to go with the investments. How does a billion-dollar organization like yours think about what autonomous vehicles are going to do? How do you think about decisions that you don't see the results of for five or 10 years? I see TriMet moving from a transit agency to an integrated mobility agency. We're really well-positioned here to not just be both buses and trains, but also helping to integrate the customer experience. I don't think the technology exists yet, but down the road we'll be able to share options with the customer: Do you want to take a scooter to TriMet to another scooter to something else? Here's your time, here's your price, confirm which one you want to go. Or do you want to get a Car2Go, or do you want to get an Uber or Lyft? We become your one-stop shop. Today, if you want to do that, you've got to order the Uber thing, you've got to order the scooter, you've got to order the TriMet trip, you've got to order and pay and transact all this yourself? Having the app is different than having it tied into your payment system. That doesn't really exist today. But I actually believe it's quite possible. I think time will prove that. Metro Councilor Juan Carlos Gonzalez made the argument to us recently that TriMet should be free. Is he wrong? I think there's a whole lot of people who have economic means who can afford to pay. I don't share that the transit should be free. Firstly, to be free, someone is going to have to write a really big check out of another pocket of the same pair of jeans. So we're a $1.4 billion business. That's a lot of money. We don't discount natural gas bills, we don't discount going to the zoo for free, we don't discount solid waste and recycling. If there are some groups who have a need, then that's fair. We've just introduced one of the most progressive low-income fare programs in North America. But you're trying to increase the percentage of people who use transit. Free transit is a pretty good way to make someone want to get on a train. We can do that, but where else do you want to pay? There is no free lunch if you're consuming something that costs billions of dollars to produce. This is the cost of a Slurpee, $2.50, for access to a $6 billion system. So I just don't share that belief. There was an argument on Twitter late last year whether Portlanders' tradition of thanking their drivers as they get off the bus is endearing or really annoying. Where do you stand? I love it. This city has not lost its community care. And once you lose it, you won't get it back. I came from Vancouver, B.C., where you don't have the same community feel and the craving for connectedness. I'd say fight like heck to preserve it. I'm the one on the back of the bus going, "Thanks!"